There are only few research stations on the large Antarctic continent. 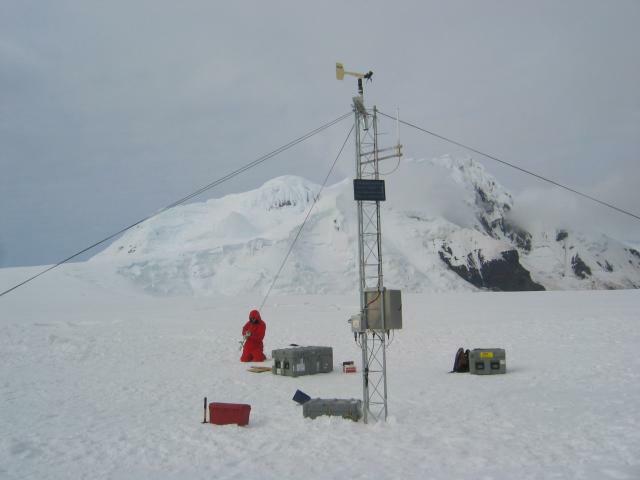 To complement the weather observations from the station and acquire data from a denser network autonomous weather stations (AWS) are setup all over the continent like this on Peter I. Island. The weather stations send their information via satellite back to research labs and weather services.